Over the past week, an extremely worrying situation has emerged in Ukraine which threatens to have widespread ramifications in Western Europe. In addition to the obvious human costs of those involved in the Ukrainian conflict, the aggression of Russia brings to the forefront several issues, including how the United States has lost the credibility in decrying violations of national sovereignty. 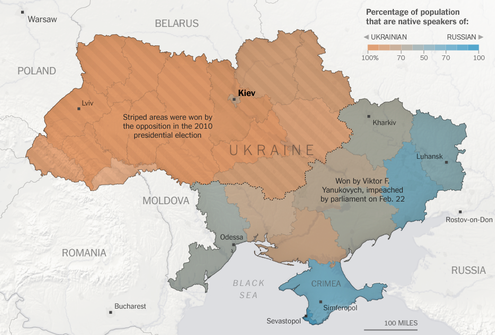 Ukraine is a mixed society, with an eastern region that identifies with Russia and a western region that considers itself more western. This division in the country created conflict over the past few months that spilled into the streets with violence and eventually resulted in their sitting president fleeing the country with as much as $70 billion in stolen funds. Just a week after the Sochi Olympics ended, Russia decided to capitalize upon the internal instability of Ukraine in order to seize a significant piece of Ukrainian territory. Currently, Russian troops have uncontested control over the Crimean peninsula—an ethnically Russian peninsula sticking out from the Ukrainian mainland into the Black Sea—and the groundwork is set for future hostilities. The Russian Parliament has already voted to authorize military force if Putin decides to escalate this conflict and the situation could easily worsen very quickly. Fortunately, despite the seizure of Crimea and the accompanying saber-rattling, there have yet to be any casualties in this conflict and it is possible (albeit unlikely) for a resolution to emerge without a single drop of blood being shed. Russia’s use of preemptive aggression against a country which has both not attacked it and does not present any threat to its safety is a violation of Ukraine’s sovereignty and international treaty. Normally, such a violation would be met with sanction on the international level, combined with outrage from a variety of nations. Unfortunately, for the people of Ukraine, Russia has immense military power, vast natural resources, and it is unlikely that any actor will be able to dissuade Russia from its hostile actions alone—the EU is too tied to Russian petrochemicals to attempt an embargo, the USA lacks the direct economic power necessary to penalize Russia, and China has no stake in this fight. To further complicate this situation, Russia has a veto-position on the United Nations Security Council that prevents the UN from taking substantive action. 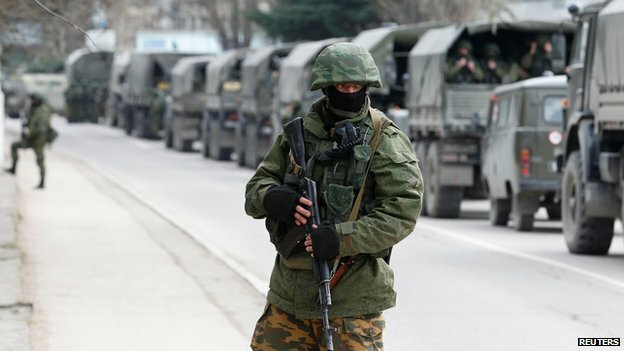 Ironically, Russia’s de-facto invasion of Crimea is not dissimilar to the United States’ unprovoked attack or Iraq—in fact, the Iraqi invasion is far more serious than the actions of Russia, both in terms of body count and in violation of sovereignty. In both Iraq and Ukraine, a nation that considers itself too powerful to be held accountable in the eyes of the international community decided to violate the national sovereignty of a far-weaker nation in pursuit of a private agenda. Unfortunately, the United States’ actions in Iraq and during the so-called “war on terror” have degraded our credibility on calling out Russian aggression against Ukraine to the point of virtual non-existence. While the US decries Russia, our military rains missiles down upon Pakistan and Yemen, killing wedding parties—put simply, it is hard to hear our case against Russia over this screaming hypocrisy and the sound of American drone missiles blowing up civilians. While it is hypocritical, the USA must object to Russia’s actions and must work to gather an international consensus that preemptive violence is unacceptable. The first step of this is to immediately get our house in order by ceasing our drone campaign and proving that we don’t want Russia to live with a standard that we would impose on them. The second step is to gather as many powerful economic and political entities as possible to form a coalition that can influence the decisions of Putin. We have no space, none. We cannot point the finger, yet we do. I grow so tired of the drums of war. Yes, I agree, President Obama must react strongly, with sanctions in unison with the EU, even if with weakened voices (obviously no attacks or boots on the ground). 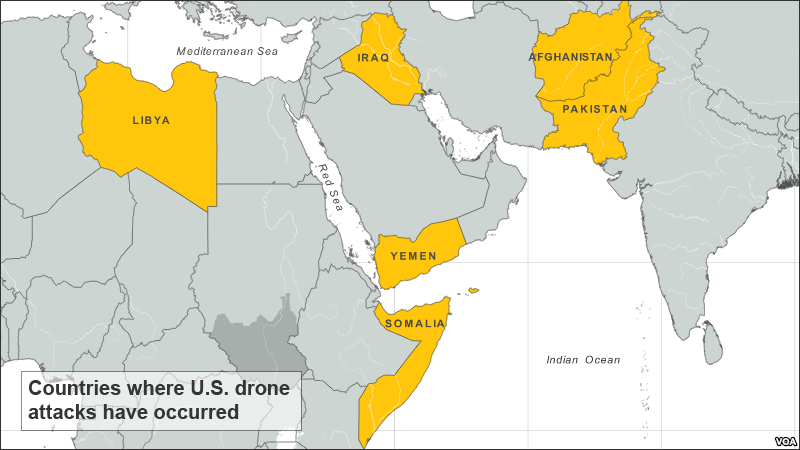 It has been 5 years with a new US President, and it seems wrong to me, even given his drone policy, that Obama should continue to be seen as a preemptively aggressive, or conversely weak, President (as was Bush). I believe in general he has proven to be reasoned in his foreign policy.The US leadership must lead, despite the fact that those that have gone before have diminished US credibility. What certainly does not help, are those in the US House and Senate, who have taken this opportunity of potential crisis, to criticize and defame our sitting President. Surely all decorum and decency has left them, as they seek only political gain.